I used to have an entire room full of craft stuff in South Africa, I could decide on any project and go straight to my craft room and find anything I needed to do a beading project or a scrapbook page or what ever it was that I had the inspiration to do. When we originally moved from South Africa to the United States I gave antiques worth thousands away and kept boxes of quilting material and scrapbook paper and equipment, to take to the United States. Only people who craft will understand the craziness of this. When we moved to the United Kingdom, a year later I resorted and managed to post some back here, but much to my absolute frustration, it is all in storage at the moment as I currently work for five weeks with one week off as a 'live in companion' to a delightful lady who is 88 years old. 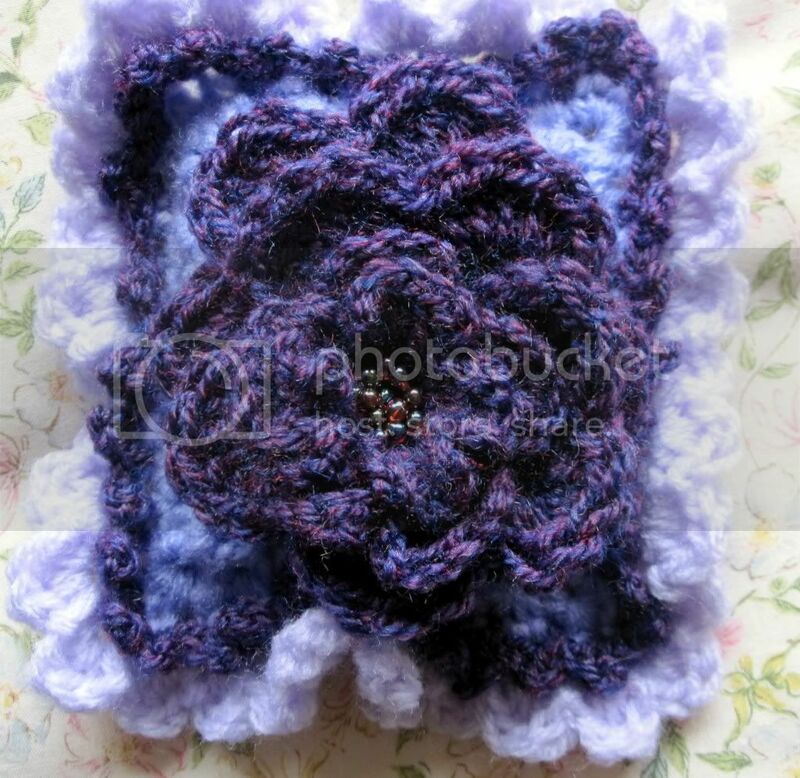 I spend most of my day in the sitting room with my dear lady and as I need to keep my mind and hands busy, I have taken to knitting and crocheting, trouble is because this is not my normal choice of hobby I struggle to come up with an exciting project. 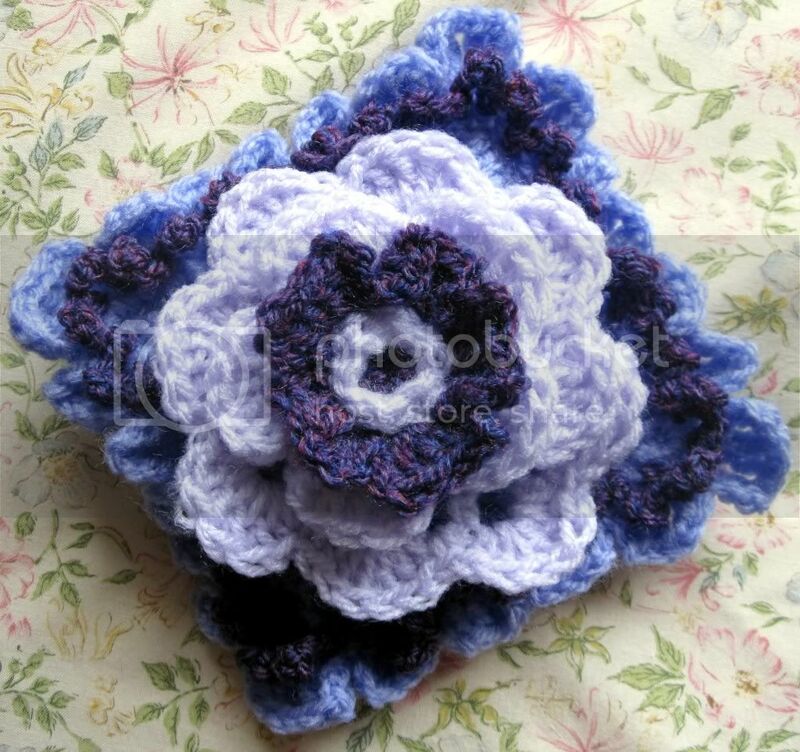 Crocheting flowers is so much fun and so quick to make ... so inspired by the flowers I made, I went searching for some lavender bags and found some in the Village shop that are only 2" square and made these little scented bags to make a top drawer smell delightful. Made layers of flowers in different sizes to make the flower luxurious, and sewed loads of seed beads into the middle of others , just to add a bit of bling! 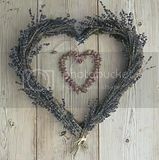 I love lavender so so much :-).